Liquid funds have been over the years marketed as alternatives to bank deposits. 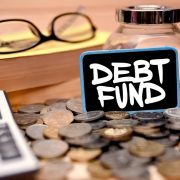 However, the ongoing IL&FS debt downgrade saga has raised some uncomfortable questions. By nature, liquid funds have portfolios with very high liquidity, almost zero volatility and also nil chances of capital loss. Then, how did the fixed income securities of debt-ridden and financially-challenged IL&FS entities end up in some liquid fund portfolios? RupeeIQ explains. Liquid funds, as the record shows, indeed have minimum volatility and liquidity. This is because they hold securities that are mostly accrual and with maturity less than 90 days. Their portfolios have minimum credit risk. They usually don’t hold higher credit risk AA or below papers. But we must understand how IL&FS entities got space in liquid funds. 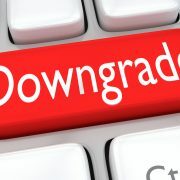 Truth be told, IL&FS entities, which may have been downgraded to junk today, were not always badly rated. In fact, IL&FS entities were a top-rated paper just a few weeks ago. As financial troubles grew and bad news flowed, rating agencies quickly downgraded the securities. Such rating actions raise important questions about credit rating agencies’ assessment of any debt paper. While rating agencies claim that their ratings should not be construed as a buy or sell, the uncomfortable truth is fund managers and investors expect rating agencies to play the role of an unbiased umpire. Unlike in cricket, there is no chance of a video review in ratings. Once a rating action happens, it’s widely followed by everybody. Ratings stay. Liquid fund managers give a lot of importance to the issuer profile. On that count, IL&FS is perceived as a quasi-government institution. IL&FS Limited’s largest shareholders as of March 31, 2018, were Life Insurance Corporation of India (LIC) and ORIX Corporation. Abu Dhabi Investment Authority (ADIA), HDFC, Central Bank of India and State Bank of India are minority stakeholders. So while investing, it would be difficult to question the legacy and brand of such a company. 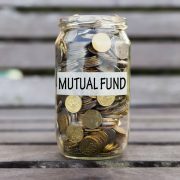 While making any investment, liquid fund managers usually follow all prudent norms. They may have thought that IL&FS Ltd shareholders have regularly supported the group by way of capital infusion. So, a safety net was always there. Plus, the three rating agencies namely ICRA, CARE and India Ratings have always rated the securities well. For instance, on August 6, ICRA (a Moody’s Investors Service company) reaffirmed the rating of [ICRA]A1+ (pronounced ICRA A one plus) outstanding on the Rs 4,000 crore commercial paper (CP) programme of IL&FS Financial Services Ltd (IFIN). In about a month, on September 8, ICRA revised the short-term rating for the Rs 4,000 crore CP programme of IFIN to [ICRA]A4 (pronounced ICRA A four) from [ICRA]A1+ (pronounced ICRA one plus). Liquid fund managers also rely on information shared by the issuer company. Even though today the picture really looks bad, sometime back the company is understood to have indicated that it had adequate liquidity buffers and unutilized bank limits. Worst come worst, the company was still strong enough to meet its short-term liabilities; or so they thought. In conclusion, it must be remembered that investors must do their share of due diligence when it comes to investing in liquid funds. 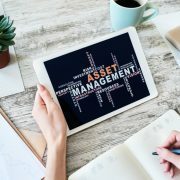 Though fund managers want to stick to instruments with low duration and low volatility, there are not many options outside of treasury bills. Therefore, naturally, exposure to CPs and certificates of deposit (CDs) happen. These are the next available short-term options. Also, it is crucial for liquid fund investors to be patient. Unless there is a default, mark-to-market losses in liquid funds go away after holding them for few days or weeks.